In 1992 a small group of individuals gathered with the sole purpose of finding a better way to detect/fight insurance fraud. This group was made up insurance professionals and individuals with the NC Department of Insurance/Criminal Investigations Division. “Insurance fraud occurs when any act is committed with the intent to fraudulently obtain some benefit or advantage to which they are not otherwise entitled or someone knowingly denies some benefit that is due and to which someone is entitled” (http://en.wikipedia.org/wiki/Insurance_fraud). According to the National Insurance Crime Bureau; “Insurance industry studies indicate 10 percent or more of property/casualty insurance claims are fraudulent. And fraud is the second most costly white-collar crime in America behind tax evasion. Add it all up and insurance fraud costs Americans billions of dollars each year. Not only does fraud cause higher insurance rates, but it also raises our taxes and inflates prices for consumer goods” (https://www.nicb.org/File%20Library/Theft%20and%20Fraud%20Prevention/ Fact%20Sheets/Public/insurancefraudpublic.pdf). The FBI estimated in 2008 that cost of insurance fraud (non-health insurance related) 40 billion dollars per year (http://businessinsure.about.com/b/2008/11/10/insurance-fraud-driving-up-premiums.htm). ICIE was formed to combat such problems. Our purpose is to train professionals from the insurance industry, legal profession, law enforcement, fire service, and related vendors in how to recognize fraudulent activities. By meeting regularly, professionals can share information for the purpose of identifying techniques and trends to combat those who seek to defraud the insurance industry. Innocent consumers pay higher premiums because those who commit fraud cost the insurance industry. Eventually, ICIE became named North Carolina Insurance Crime Information Crime Exchange (NCICIE). Each year in February we hold a training conference in Winston Salem, NC. It allows members from the insurance industry, legal profession, law enforcement, fire service, and vendors that work to detect and fight insurance crimes the opportunity to learn the latest information to help them with their jobs. We see attendance at the training conference grow each year. The annual conference offers our members the opportunity to obtain training hours while networking and visiting with the tremendous vendors and sponsors that support our organization. If you have a question, about insurance fraud, we encourage you to seek out a member of NCICIE. 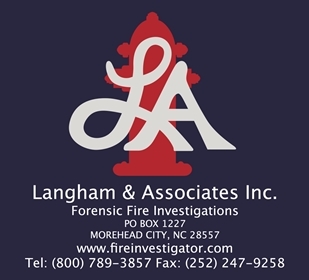 Better yet, if you are from the insurance industry, legal profession, law enforcement, fire service, or a vendor that works to investigate fraudulent claims, join our organization and help us fight insurance fraud in North Carolina.